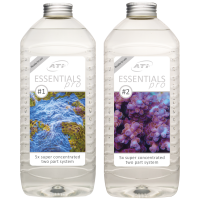 A large format version of the ATI Essentials aquarium range of additives, ready to be mixed up to 10ltrs. 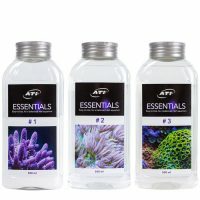 ATI Essentials provides as well as calcium, magnesium, and carbonates ….. all essential trace elements for supporting the biology of your aquarium. This includes: boron, bromine, cobalt, chromium, fluorine, iron, iodine, potassium, lithium, manganese, molybdenum, nickel, rubidium, sulphur, strontium, vanadium, zinc and more. 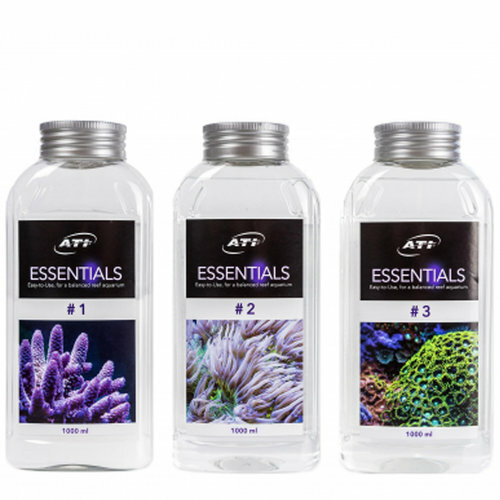 ATI Essentials is proven to be a first class, safe product for the care of your coral reef aquarium. 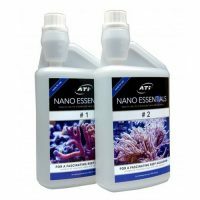 With its balanced formulation it means that partial water changes are no longer totally necessary to balance chemical levels in the aquarium. 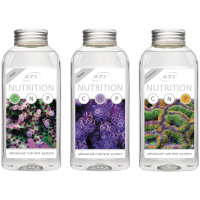 The benefits of ATI Essentials will quickly become visible in the general health and growth rate of your corals.